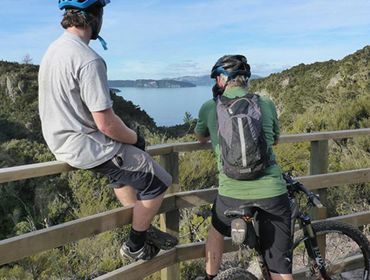 New Zealand offers over 2,500km of mountain bike trails suited to everyone from novice riders looking for a fun way to see the countryside, to hard-core mountain bikers up for a challenge. We consider ourselves extremely fortunate to be right in the middle of possibly the best network of trails in NZ. We are only an hours drive away form the Old Coach road which works it way through pristine forest between Horopito and Ohakune, and 30 minutes from the famous 42 Traverse. The Great Lake Trails and the Timber Trail are also within easy reach, and the relaxing Tongariro River Trail is right on our back door step. 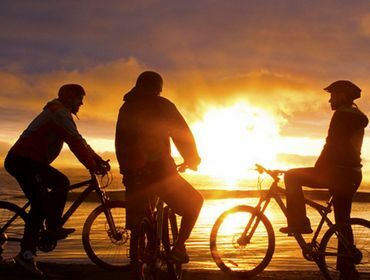 We would love to provide you with an adventure base for your next biking adventure. 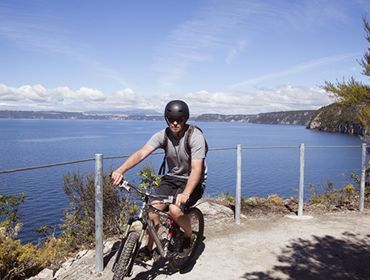 Known as the greatest mountain bike ride in the North Island, the 42 Traverse follows an old logging road through some of the most remote and rugged land in New Zealand. The 42 Traverse is a remote and rugged adventure ride through what used to be known as State Forest 42. It is best ridden during summer, but when the mountains have snow on them you get some stunning views. Although the 46km long trail with an overall descent of 520 meters sounds easy, it is usually rather rutted making it enjoyable for experienced riders, however it is not technical and would be achievable by most intermediate riders as well. 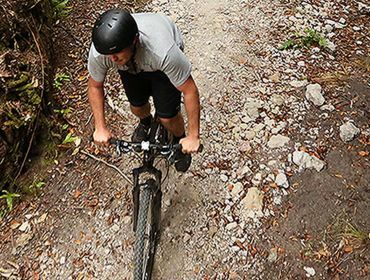 The Tongariro River Trail is a scenic looped ride along both sides of the Tongariro River in Turangi. It has some awesome native bush and cool views into the clear waters of the Tongariro River. 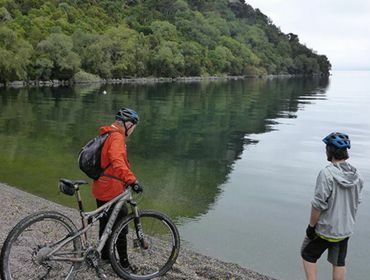 The Tongariro River Trail is a gentle ride suitable for families wanting to spend a pleasant few hours either biking or walking. The Tongariro National Trout Centre is a great place to break your journey, with lovely picnic areas and facilities on site. The track is a grade 2 trail on mostly flat terrain, making it suitable for children and beginner riders to enjoy. It’s a 15km loop track of undulating, yet comfortable ground. It will take a family a couple of hours to complete or close to an hour for more experienced riders. 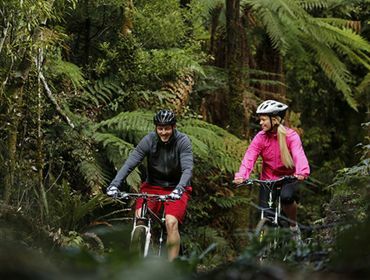 The Tree Trunk Gorge trail will take you on a picturesque journey through the Kaimanawa Forest Park. It passes through classic central North Island beech forest, across streams and rivers and over two impressive gorges as it tracks along the upper section of the Tongariro River. This single track trail is great fun, but be prepared to get wet feet as there are river crossings along the route. A grade 4 trail, it is most suited to experienced riders and intermediate riders seeking a challenge. 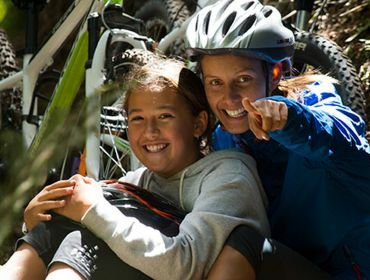 Ohakune’s Old Coach Road is a deservedly popular half-day adventure offering an enticing mix of pioneer stories, spectacular forest, volcanic scenery and some fast, flowing riding. It follows a re-discovered cobblestone road that once bridged a gap in the railway line before the ends were connected in 1909, and skirts World Heritage-listed Tongariro National Park for much of the way, Mostly smooth terrain and just a few moderate hill climbs make this trail suitable for most abilities. More ambitious riders can carry on to complete more challenging sections of the multi-day Mountains to Sea Cycle Trail, of which the Old Coach Road is a part.